Why rely on drugs and surgery to cure you of life-threatening disease when the right decisions can prevent you from falling ill to begin with? 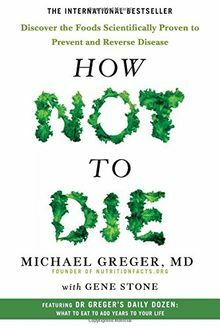 How Not To Die gives effective, scientifically-proven nutritional advice to prevent our biggest killers - including heart disease, breast cancer, prostate cancer, high blood pressure and diabetes - and reveals the astounding health benefits that simple dietary choices can provide. 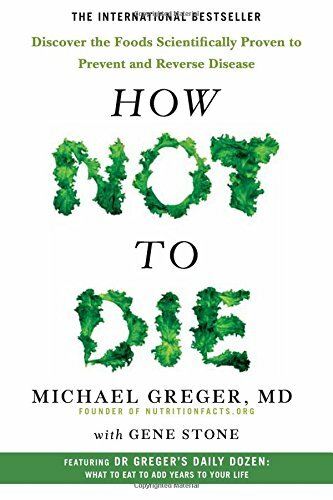 Based on the latest scientific research, the internationally bestselling How Not To Die examines each of the most common diseases to reveal what, how and why different foods affect us, and how increasing our consumption of certain foods and avoiding others can dramatically reduce our risk of falling sick and even reverse the effects of disease. It also shares Dr Greger's 'Daily Dozen' - the twelve foods we should all eat every day to stay in the best of health. With emphasis on individual family health history and acknowledging that everyone needs something different, Dr Michael Greger offers practical dietary advice to help you live longer, healthier lives.